Who is your favorite serial killer? That is a no brainer for me!!! Dexter of course! For those of you who do not know who Dexter is, then you are missing out on a LOT. Dexter is the fictional blood spatter analyst from Miami, who moonlights as a dark knight. He is a serial killer who lives by a strict code, and who only kills those who deserve to die. Let me tell you, this TV show is something that makes it worth watching TV. 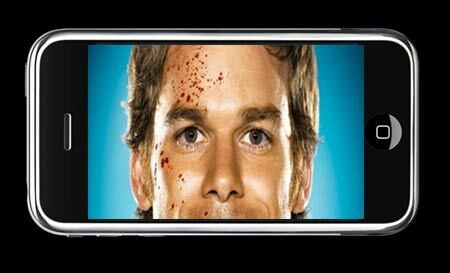 Showtime Networks and Marc Ecko Entertainment will announce that they have partnered up to create an all-new videogame based on the popular award-winning show, Dexter. Though a specific development team has yet to be named, Ecko Entertainment has said that it will work closely with Showtime to keep the game as faithful to the television show as possible. Plot details, developer info (it isn’t Human Head, which is working with Marc Ecko Entertainment on a separate project) and gameplay specifics are expected to appear over the next several months. A release date and specific platforms have not yet been confirmed. Well, I guess that I just have to be patient. After all, Dexter is known for his patience.